How to? 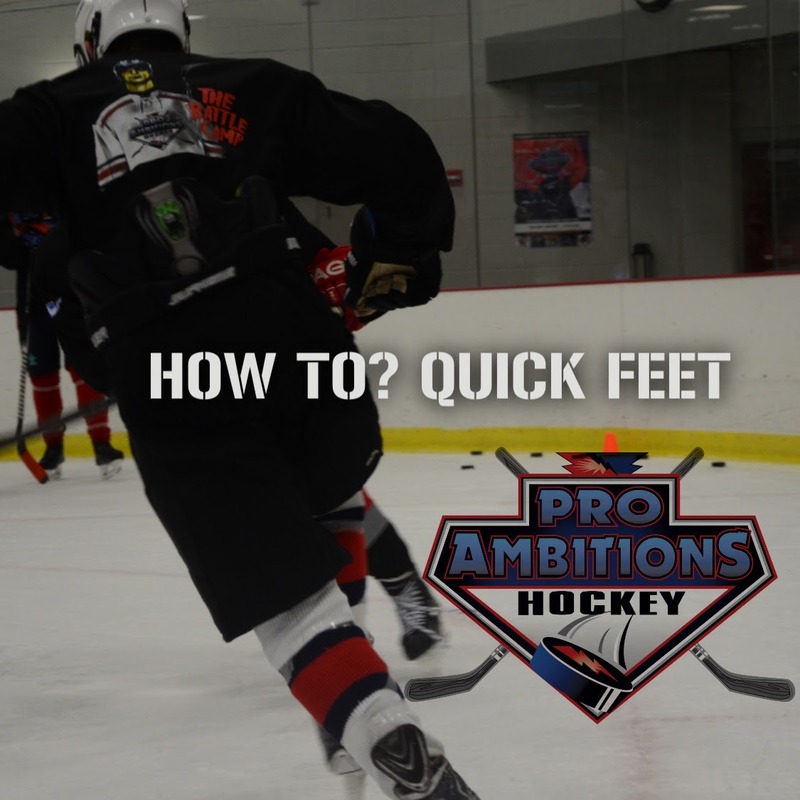 Quick Feet - Pro Ambitions Hockey, Inc.
Jeff Serowik’s Pro Ambitions Hockey, Inc. and Brian McDonough’s Edge Performance System, EPS have teamed up to deliver the best strength and conditioning training for all campers. 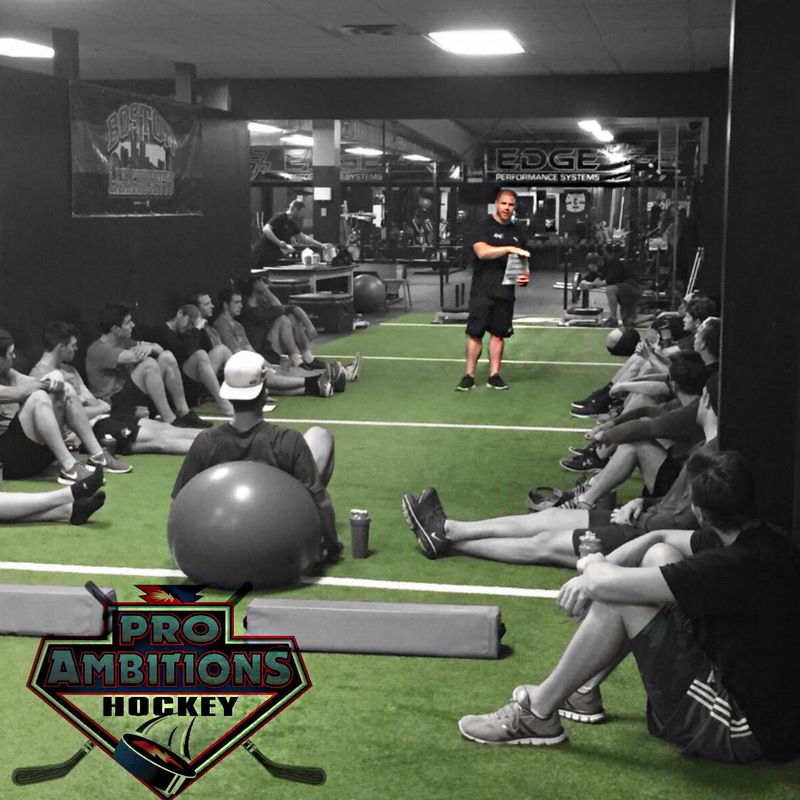 McDonough will be creating all off ice curriculums for the camps, contributing articles, video tutorials and advice on off-ice training and development via newsletters and the Pro Ambitions App with video tutorials. Brian started his career twenty years ago as a physical education teacher and strength and conditioning coach. While extremely passionate about teaching, Brian left that profession after nine years to open EPS. Brian, like Jeff, is a forever student of his own expertise and both value technology in sports. Sports have changed. Virtual training and statistical data are key elements vital to the enhancemet of an athletes success. 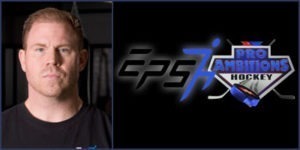 Since the inception of EPS, Brian regularly trains over 220 professional athletes from the NFL/NHL/ AHL as well as thousands of youth, high school, prep school and collegiate athletes. To name just a few Gronk, Noah Hanafin, Jack Eichel, Colin White, Johnny Gaudreau, Charlie Coyle, Miles Wood, The Hayes brothers… Brian dedicates a portion of his fall and winter to coach Junior hockey in the USPHL for The South Shore Kings Premier Team here in Boston to stay current with elite hockey and their needs off the ice. Here is what Brian has to say about Quick Feet and How To? “Athletes and parents need to understand there aren’t any “magic drills”. It is important for athletes to play other sports and participate in strength and conditionig off ice training in order to be quicker on the ice. Acceleration, deceleration and changing direction on the ice with speed happens by training your quick twitch muscles, and training your muscle memory and nervous system. This training is off ice training. A comprehensive and progressive plan should be put in place. No quick fix, the kids need to do the work. We have been designing these age specifically for hockey players that will be launched on THE PRO AMBITIONS APP. We have designed a 7 minute work age specific plan for youth players on the App. We believe with the busy over scheduled way of life we all live in now, 7 minutes a day is a realistic amount of time for youth players to regularly train. These 7 minutes will be game changers on the ice. The strength they gain will create more force against the ice or the ground enabling them to accelerate at a greater speed. We can start this young, this involves no weights. Players can do simple drills in the yard with their mom or dad charting their time on a stop watch on our Sunday Morning at home training that will also be launched. We will be streaming age specific acceleration, muscle memory drills to be done at home. Over the summer we enter all statistical data daily into the computer for our premier athletes and our youth athletes. This data is analyzed and sorted. This data has helped me comprise strength and conditioning plans that work for everyone. Hundreds of hockey players sit across from me describing areas of their game they would like to improve, speed and foot quickness tops the list. Eight year olds up to Gronk and Jack Eichel say the same thing. If you look at greater skaters, please note that their ability to make their stride appear to be effortless is in fact an acquired skill. Believe me I know, if you knew what Colin White for example does on a daily basis over the summer, your head would spin. They worked for that stride off the ice as well as on the ice. Skating fast and explosively can be broken down into two skills, Power and Turn Over. To improve theses skills, kids need to start training for them off the ice. Being able to put more power into the ice is deadly. The athlete that have strong legs and the proper form can push themselves forward faster. To work on the power of your stride, basic strength drills will give you a greater ability to produce power. Working on speed can put you in a position to apply this power into the ground more efficiently. Try adding single leg balance drills into your training for strength. we have videos on the app to demonstrate these. When Sprinting think about pushing the ground down and behind you..move the earth don’t let it move you. Applying power to the ice is all good, but when said and done skating is really the ability to repeatedly put one foot in front of the other. If you can not turn your legs over quickly then you lose the ability to move faster. When training for stride turn over, you need to focus on movements that happen on the ice. Doing a bunch of random patterns in a ladder, or working on quick feet isn’t optimal training. While these drills have a place, they are not the most effective for developing stride turn over. Try doing tennis ball sprints or racing someone that is faster than you. The goal is to replicate skating as much as possible while turning your legs over as fast as possible in a short distance. When it comes down to it, keep it simple! Some of the world’s best track athletes are not fancy in training yet they are some of the fastest in the world. Focus on the quality of the training you are doing and don’t get lost in the glamour of cool drills, usually if the drill looks cool its not the most effective way to accomplish your goal. Keep it simple stupid, Run Fast, Push Hard into the ground and try to get as many foot strikes in a short distance. Hope this helps kids…I remember back in my playing days how I trained my feet. Brian and I talk a lot about this topic. Training your nervous system to become a fast twitch machine is part of dry land training. When training for speed you are training your nervous system along with your muscles. Think quality vs. quantity. When training to get fast you must train fast. Push yourself to the limit every time or don’t train that day. Fully recover between bursts, don’t just go through the motions, you are training your nervous system to react faster and remember. I used the ladder in my day and it is still a good training tool and something simple to do at home and is better than doing nothing…but, today we have trainers like Brian McDonough who study how to improve a hockey player’s speed on a daily basis, and there is MORE, BETTER, PROVEN. Bian and I have created a 7 minute daily work out on the APP. 7 minutes a day will do the trick for youth players. Time and chart your son or daughter once a week throughout the season, we are streaming our Sunday morning training session at home with Brian. The other thing I used to do for quickness is find very large sets of stairs. Don’t skip steps. Quick steps up. Quick steps down. Wish all of this was not such hard WORK but that is why it is called WORK not FUN. The fun will be the fruits of your labor, in your game. Last thing, Brian said that resonates with me is ” Keep it simple stupid”. I used to repeat this to myself while playing. I also used to write MYF on my glove. MOVE YOUR FEET. A reminder to myself when I was sitting on the bench waiting for my next shift. Don’t stop from the minute you jump onto the ice, your feet should always be moving out there. I see this at camps, kids stop when they get the puck…can’t do that. Keep your feet moving at all times, this is easier said than done. Write it on your glove to remind yourself, it helped me. MYF. BRAND NEW SITE FROM GROUND ZERO LAUNCHINGSUNDAY OCTOBER 23rd at noon, ANNUAL SALE begins at that time and ends midnight Halloween. 15% off all camps, leave a deposit to ensure your spot. Especially at BU.